We’ve been doing a lot in Durango, but no snow here yet. A few days ago I got an iPhone 5S Space gray 32GB and sold my old phone. My mom also got an iPhone 5S Gold. We went to Makayla’s grandparents house and went shooting at a range and found a lot of Geocaches. I’ve been doing a lot of school and narrations (as you can see) and running around Main Street. We’re going snowboarding on the 24th even if there isn’t snow. 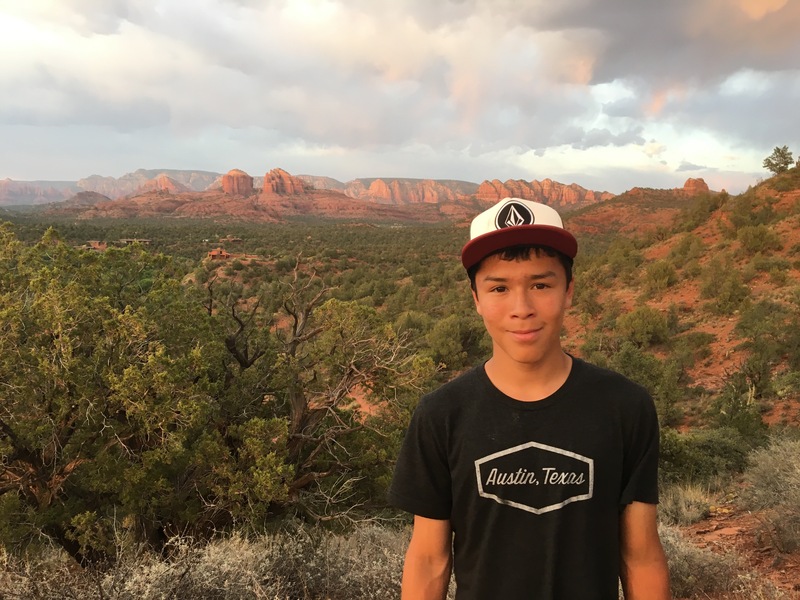 I’m going to put my 3 snowboarding videos on here soon, plus some slow motion videos from my new phone of Isaac and me running and jumping at Four Corners National Monument. 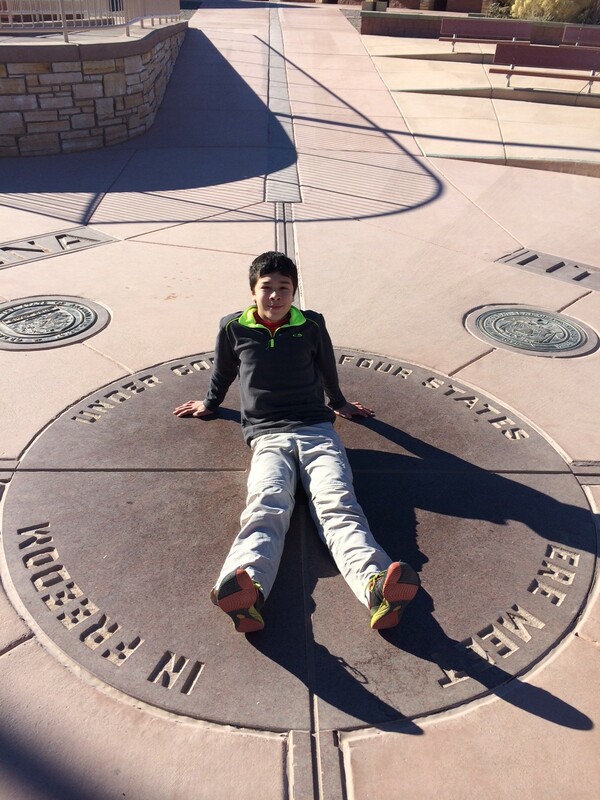 We just figured out that the Four Corners monument is actually a few hundred yards off, so we were just in New Mexico. 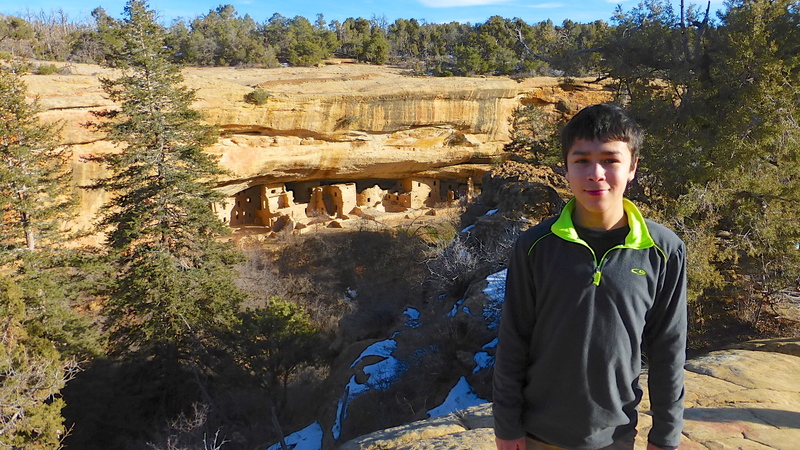 We also went to Mesa Verde National Park (I got a national park coin), and we took a tour and saw some old ruins where Native Americans lived for a while. It was really cool. We signed up for an indoor soccer clinic in a basketball court at the rec center, and we’re going today for the second time. I’ve now memorized pi up to 3.14159265358979323846264338327950288 (36 numbers! ).